Maria Sharapova is one of the biggest names in the world of tennis. Those who don’t know her for being a five-time Grand Slam champion, a former world No. 1 and an Olympic medallist among the other achievements, know her for her model-esque looks. But hey! There’s still somebody who doesn’t know her. Or may be she was doing her job? Quite commendable in that case, isn’t it? 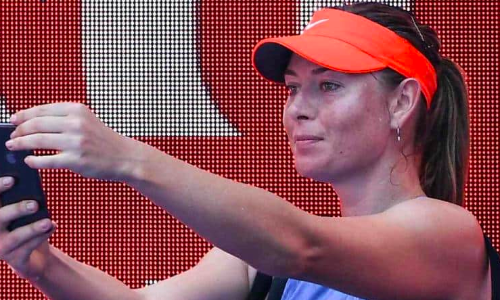 While on her way to the court for a practice session perhaps, Sharapova was stopped by a female security, who asked her to show the identity card. She obliged, as can be seen in the video below, after meeting up with someone she knows. Sharapova got her campaign under way with a brutal 6-0 6-0 thrashing of Harriet Dart of Great Britain. The 30th seed is scheduled to lock horns with Rebecca Peterson in the second round on Wednesday.